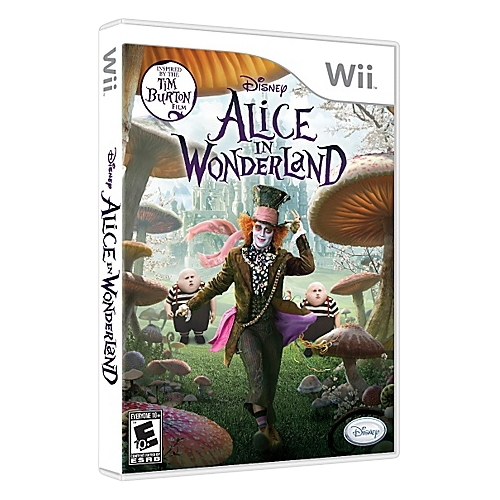 Lewis Carroll's famous story of Alice and her adventures after falling down a rabbit hole. Following a white rabbit, she meets such strange creatures as a talking doorknob, who helps her through a keyhole into Wonderland; Tweedledum and Tweedledee, who tell the story of "The Walrus and the Carpenter"; the Caterpillar; and the Mad Hatter and the March Hare, who celebrate an unbirthday at their tea party. Finally Alice has a showdown with the Queen of Hearts and her army of playing cards. The whole thing becomes such a nightmare that Alice awakens from her dream to the recitations of her sister and the purring of her cat, Dinah. Animated feature had been on Walt's mind since 1933, when he considered a live-action version starring Mary Pickford. He shelved the project after Paramount made a version, but later had artist David Hall, a Hollywood artist and designer, create some concepts for an all-animated film. World War II intervened, and it was not until the late 1940s that work began again in earnest. One of Walt's big problems with this film was that here he was dealing with a highly regarded classic, and what was charming and appropriately bizarre in book form seemed oddly out of place on the motion picture screen. Walt's feeling, expressed in later years, was that "Alice" had no "heart."